Raja Mazumder, an associate professor of biochemistry and molecular medicine, said the program will enable researchers to have easy access to data on how genetic codes are produced. A medical school professor will receive $10 million in federal funding to develop a data analytics program for genetic information. The program, GlyGen, an international glycoinformatics database, will allow researchers and medical professionals to pinpoint where specific genes are located in humans with a $10 million grant, which was announced last month. Members of the research team said the study will boost the field of glycoscience – the study of sugars in biology – and could help doctors find the best treatment methods for cancer patients. 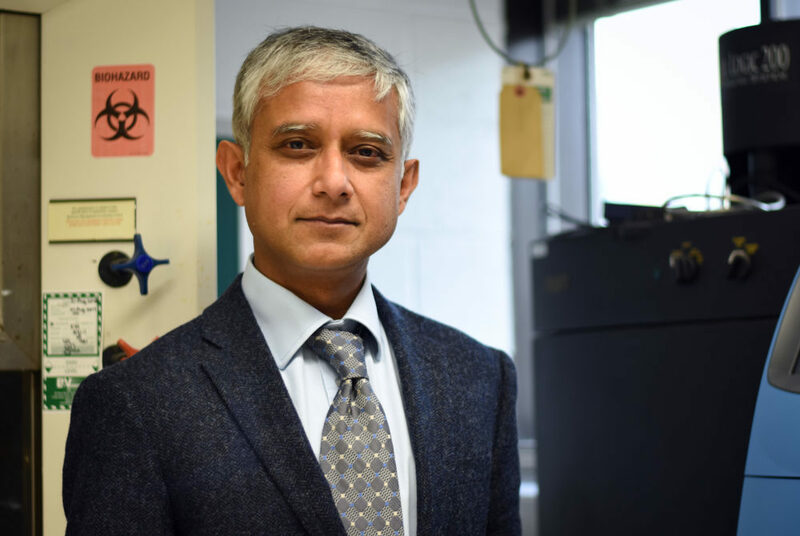 Raja Mazumder, an associate professor of biochemistry and molecular medicine, said the program will enable researchers to have easy access to data on how genetic codes are produced and consequently how certain mutations may develop. Over the last decade, Mazumder said scientists and researchers have been working to improve access to information on the type of proteins that are coded for particular genes. He said these types of proteins “wear” different sugars, which provide a method of flagging the type of gene and also help researchers predict how the gene will behave because the different sugars have different impacts on proteins. Mazumder said the team looked to past programs that attempted to provide similar data, examining what worked and what didn’t before building their own platform that could distribute information more effectively and leave open channels for communication among researchers. The program will also have new ways to submit data and new visualization techniques, like 3-D representations of protein structures allowing both humans and machines access to the information, he added. “The thing that I’m excited about is that it will bring glycobiology to the masses,” he said. Mazumder said that after the program is established, if a researcher is studying a particular gene, they can look up the exact location of the gene and determine if there is a sugar attached to it, just by searching the name of the protein. He added that a researcher can then find if the sugar is observed on other human proteins, and if there is any link between the presence of the sugar and a type of disease or cancer. Mazumder said the project has been a collaborative effort, engaging researchers from Australia, Japan, Europe and other universities in the U.S. – including Georgetown University and University of Georgia. William York, a professor of biochemistry and molecular biology at the University of Georgia, said both he and Mazumder submitted proposals in response to an NIH inquiry about developing this kind of program. He said because the two proposals were similar, a collaboration seemed like a natural compromise. York said that without this type of program, researchers would have to sift through high volumes of information and data sets when looking for information on a particular gene, protein or sugar, which might be difficult to comprehend if not directly related to their area of expertise. “All that kind of information is out there already but it’s impossible to find,” he said. In the future, York said he hopes to see the program used to diagnose patients or have a better molecular understanding of a patient’s disease. The program might also give a doctor a better idea of their patient’s chances of getting cancer, and – in the event that they are diagnosed – what types of treatments would be most effective, he said. “I think it’s an important project because it is what’s really needed to make the science of glycobiology perceived and go forward in a more rapid pace,” he said.